If you are looking for something different and just a bit of fun, particularly as a gift perhaps for anyone struggling to understand the addiction (or is it affliction?) we call fishing then this is the book you need. 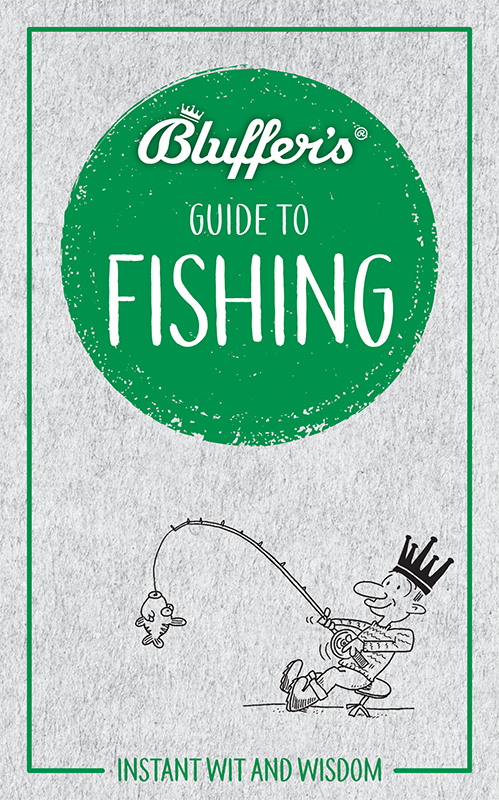 * If that special someone still wants to try and communicate with you and your buddies, and learn how bluff their way through ‘speaking the language’ to gain acceptance, then the Bluffer’s Guide to Fishing will be their salvation. There are some great quotes and observations along the way and no discipline is missed. Fly Fishing, coarse fishing, sea and big game fishing all get covered to discover the nuances of language and bluffing bravado needed to get by in any situation. Bluffers are advised to stay away from pole fishing as “in the hands of a novice, poles are instantly transformed into something hideous unwieldy, like watching a drug in full armour trying to thread a needle with a 15-metre lance.” Solid advice, as is the last nugget of wisdom saved for the final page.